Remember when Microsoft promised that the official Facebook Messenger app would be making an imminent appearance on Windows Phone? That announcement was made back in February, with Joe Belfiore announcing that the native Messenger app will introduce additional features above and beyond those found in the system based Facebook messaging integration. Belfiore, Microsoft and Facebook have stayed true to that promise, with the official Facebook Messenger app for Windows Phone now available to download from the Windows Phone Store. 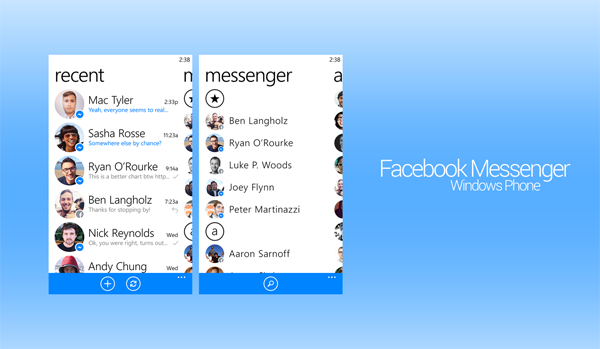 Windows Phone users have always been able to take advantage of Facebook messaging and interactions through the built-in system functionality. However, as we have seen with iOS and Android, the social network’s Messenger app offers a deeper, more feature-rich experience, going above and beyond simple text based connections. Just like on other supported platforms, the Facebook Messenger app is designed to bring the social experience to life, which is achieved by offering the ability to interact using a variety of different stickers as well as being able to privately send photos to friends. The official Windows Phone Store description describes the app as being "just like texting, but you don’t have to pay for every message". That is of course strictly true, but it is worth noting that unlike texting, the interactions purely exist in the confines of the world of Facebook and are limited to the people you are connected with on the network. Any new incoming message will generate an optional push notification for the user, meaning that any important messages will not be missed. The system also persists the users log-in data to make the whole experience a lot smoother. Users can, of course, choose to log out at anytime. Group conversations, private photo messages, sending stickers and the ability to share the current device’s location as part of communication are all simple, but effective features that make the Facebook Messenger experience extremely pleasurable on Windows Phone. 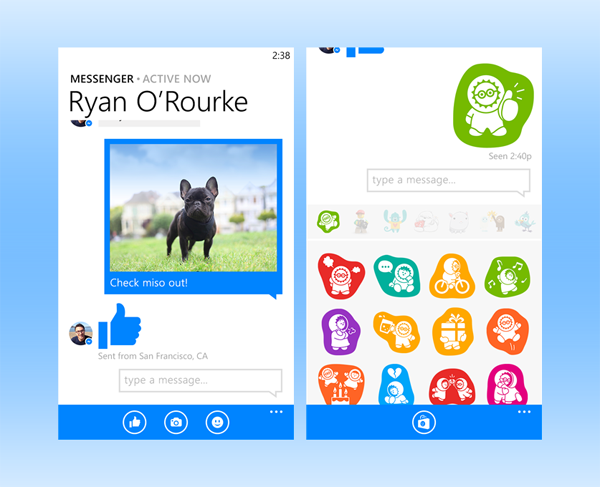 If you’re a Windows Phone and Facebook user who prefers to stay away from the clutter of a timeline, then Messenger is probably the app you need.